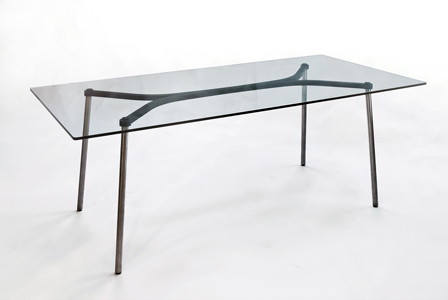 The 1/2" (12 mm) tempered glass tabletop is supported by brushed stainless steel round legs that lock into a gently curved steel support frame. The elements lock together at dominant machined joints that are visible just below the plane of the glass. The steel frame is finished with a black oxide coating and then sealed with tung oil. A black galvanized finish is available for exterior use. 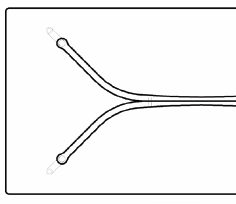 Width 36" Length 76" Height 29"
US Patent D600476, Reg. EU Community Design.